The following is a post from Helen Mae of Lovebirds Vintage on ways to meet other vintage lovers. I wish I had read a post like this early in my vintage journey! UK vintage lovers may find this post especially helpful as well! Meeting other people who love the same things that you love is great. Talking about things you enjoy with others who are passionate about those same things is one of the best things about a good friendship. Personally really love meeting other people who like old things, and I am making it my goal for 2014 to connect with more people who share my interests. Here are some of my suggestions for places for meeting people who are interested in vintage, whether that be clothing or décor, for example, or even people who are interested purely in the history. Social networking is a growing part of modern life, and there are even social networks and similar sites designed purely for those with an interest in days gone by. Vintagers is a relatively new site designed to allow vintage wearers and sellers all over the world to connect with each other, discuss vintage and recommend places to shop. You can find my profile here, and they are also running a competition to win a KitchenAid which you can enter just by signing up for the site and becoming an active member. The Fedora Lounge is a forum aimed mainly at the gentlemen, but which also includes a space for the ladies to converse. There is some really useful and interesting information contributed over several years by vintage lovers. I particularly recommend the hairstyling thread and the vintage underwear thread. The 1940s social network is mainly UK-based but does have some members from all over the world. 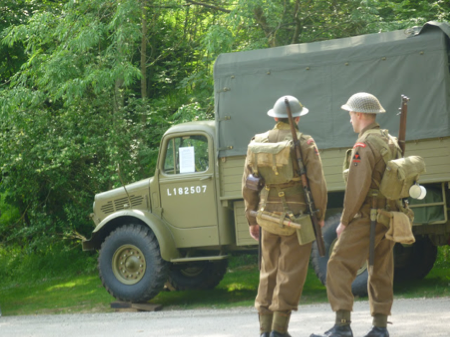 This is a great site for finding out about events, chatting with people interested in the 1940s including re-enactors, and sharing photos and blog posts. You can find my profile here. Re-enactment is a great way of connecting with people who are passionate and knowledgeable about the past. Here in the UK, there are events which take place all over the country. You can read about some of the events I have attended here. If you live in the UK, Rod’s 1940s Events Calendar is a great way to find out about the events that are happening in your area. Also try checking the events calendars of local attractions such as museums and National Trust properties. Alternatively I have found some events by Googling phrases such as “1940s events [place name]”. As well as being great places to shop, vintage fairs can also be good places to meet new people. I have found that shop owners as mostly quite happy to discuss the items they have for sale, which can be a good conversation starter. You might also find that you run into the same sellers at multiple events, and they are more likely to remember repeat customers. 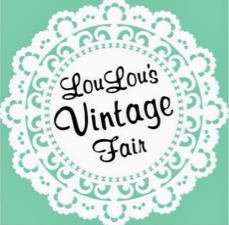 If you live in the UK, you can try fairs such as Judy’s Affordable Vintage Fair or Lou Lou’s Vintage. Google is also a good tool for finding events like these in your area. If you enjoy music from the 1940s and 50s, rock and roll gigs make a great night out. If you can swing dance, it’s a fun way to practice and enjoy your dancing, if you can’t swing dance then it might just be the place where you can learn. 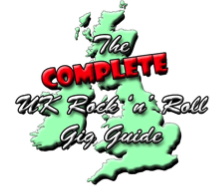 Check out local pubs and clubs to see if they have any live bands, or if you live in the UK, you can try the Rock and Roll gig guide. Blogging has been one of the best ways for me to meet new people and although most of the people I have met live a long way away from me, I still feel like I have been able to build some good online friendships. If you don’t currently write your own blog, I’d really recommend it. Blogging has helped me in lots of ways, and I’ve only ever found the online vintage community to be welcoming and friendly. You can check out my blog at www.lovebirdsvintage.blogspot.co.uk. Really terrific guest post! I just joined Vintagers myself a couple of days ago and am really excited to see what it's going to grow and become as more folks from around the world sign up.